When you find a Realtor that takes the time to understand what you want for your first home, you know that you have found somebody special. Kristin Gennetti is such a person to me. Her professionalism, experience, and knowledge proved to be essential for the process of buying my first home which successfully concluded in November 2010. More importantly, Kristin was patient and thorough; efficiently stuck by me while I swayed back and forth trying to figure out my first large investment. 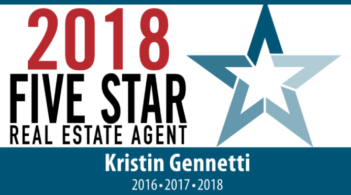 Kristin kept me well informed on all details on a long list of properties during the search process and I never felt ‘pressured’ into buying unwillingly. She demonstrated her keen understanding of the local real estate market and provided the tools that made the experience a supportive one. When I decided to buy, Kristin assisted me promptly and her timely and diligent efforts assured closing right before the Thanksgiving holiday! I feel that not only did I find a great agent who helped me find my first home, but I also found a friend for years to come. Kristin, I wish you continued success!